The Honorable Mark L. Wolf, a Senior Judge of the United States District Court for the District of Massachusetts, has served as co-founder and Chairman of the John William Ward Public Service Fellowship since 1986. In recognition of his service to the Ward Fellowship, he was awarded an honorary degree from the Boston Latin School in 1990. Appointed U.S. District Judge by President Ronald W. Reagan in 1985, serving as Chief Judge from 2006 through 2012, Judge Wolf’s federal trial court experience of more than 30 years has made lasting contributions to the administration of justice in Massachusetts. His judicial work has exposed public corruption, including in the Federal Bureau of Investigation’s handling of the matters of James “Whitey” Bulger, “Cadillac” Frank Salemme, and Stephen “The Rifleman” Flemmi. He also presided over the corruption trial of the Speaker of the Massachusetts House of Representatives. Prior to his appointment to the bench, Wolf served as Special Assistant to United States Deputy Attorney General Laurence Silberman in 1975, and then as Special Assistant to United States Attorney General Edward Levi from 1975 to 1977. He awarded a Certificate of Appreciation from President Gerald Ford for his service in the resettlement of Indochinese refugees (1975) and the Attorney General’s Distinguished Service Award (1984). Wolf was Deputy to United States Attorney William F. Weld and Chief of the Public Corruption Unit in Boston from 1981 to 1985. In 1984, he received the Attorney General’s Distinguished Service Award for exceptional success in prosecuting public corruption in Massachusetts. This interest in public corruption cases, and the personal impact of John William Ward, led him to join with Stanley Miller to found the Ward Fellowship shortly after his appointment to the bench. A graduate of Yale College and the Harvard Law School, Judge Wolf is an Adjunct Lecturer in Public Policy at the Harvard Kennedy School. 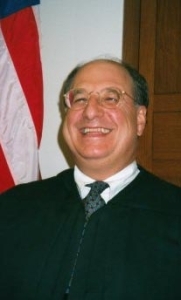 In addition to serving as chair of the Ward Fellowship for more than 30 years, having awarded over 400 Boston Latin School with fellowships, he also served as a founder of the Judge David S. Nelson Fellowship, a program that allows students from the Boston Public Schools the opportunity to work with district judges during a summer in the Federal Courthouse. Additionally, Wolf remains active on the board of the Dr. Albert Schweitzer Fellowship, allows students from health professional and law schools to engage in community service projects in health centers and community agencies in cities across the United States, and in the hospital in Lambaréné, Gabon which Dr. Schweitzer first established in 1913. Judge Wolf is a Distinguished Non-Resident Fellow of the Woodrow Wilson International Center for Scholars. In 2016, Judge Wolf, Justice Richard Goldstone of South Africa, and other colleagues created Integrity Initiatives International to advocate for the creation of the International Anti-Corruption Court; to develop and strengthen other measures to combat grand corruption; and to forge a network of young people dedicated to combatting corruption in their own countries. Copyright 2015 John William Ward Public Service Fellowship | Website By: Vernaldi M.